This pizza is ginormous! 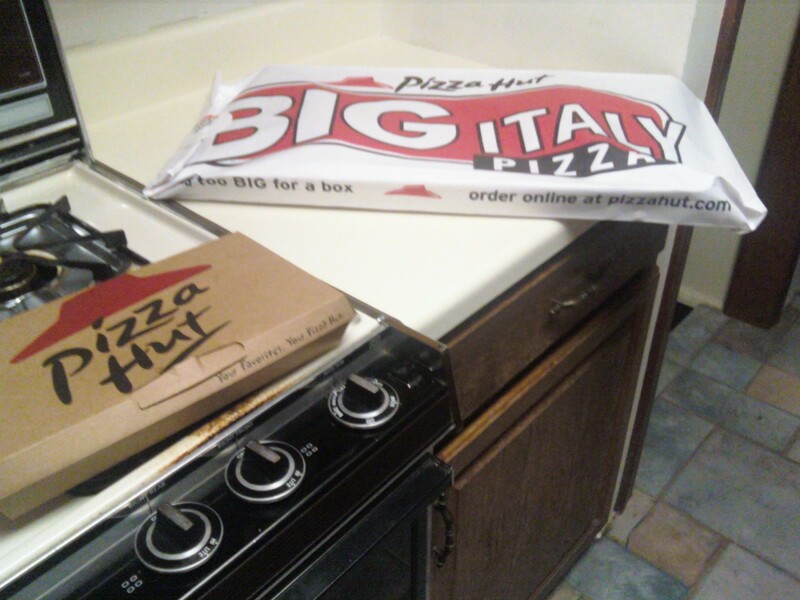 Josh got home from the gym tonight and wanted pizza. He got a shirt at the gym for benching 400lbs (after his regular workout...he could do more fresh) and felt like he deserved a reward. I ordered this from Pizza Hut. It is only $12 right now. 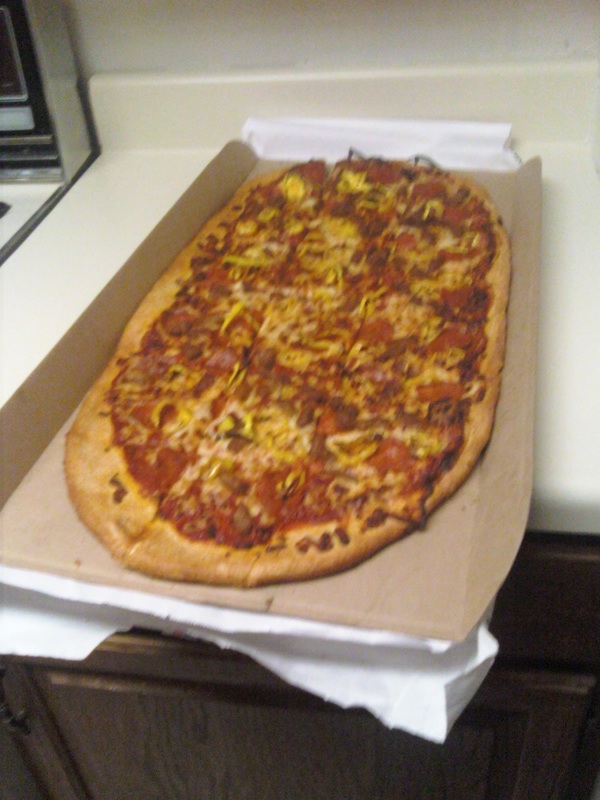 I've never seen a pizza this big. Get it if you're hungry. Or feeding a million. Ben loves this pizza. $12 and feds him for the whole week. Guess he doesn't like cooking when I'm gone now.